The various odds for the World Series are in and the Tigers are significant favorites over the Giants. Plus we take a look at possible MVP candidates. It shouldn't be a huge surprise, but Las Vegas is favoring the Tigers over the Giants in the 2012 World Series. According to Bovada.lv, the Tigers are significant favorites too, checking in at -175 to win the series. (If you bet $100, you would get something like $60 in winnings if the Tigers prevailed.) 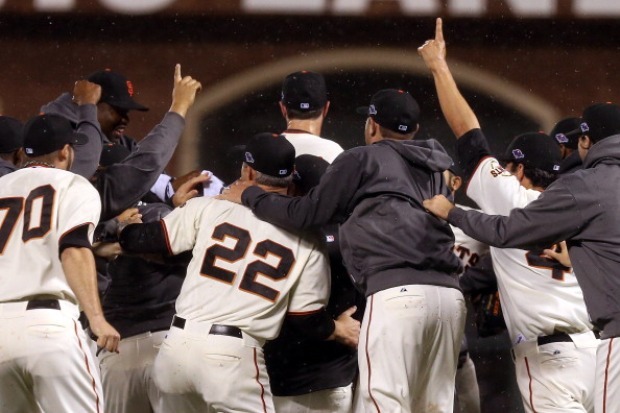 Meanwhile, the Giants are +155 to win the series (meaning bet $100 and get $153 in winnings). This shouldn't be too stunning though -- the Tigers a) are a more "popular" team, b) swept the Yankees to get here instead of storming back from down 3-1, and c) could potentially start Justin Verlander three times in a single series. Having Verlander alone makes them the most terrifying team in this matchup. In fact, when you look at the MVP odds, Verlander is one of the top favories. Bovada has Verlander at 8/1 to win the World Series MVP, which is actually a pretty decent price. Sportsbook.ag has the Tigers ace slotted at 2/1 (!) to take that hardware, which makes him the favorite there. If you want a sleeper, Brandon Belt at 20/1 is a long shot. The most likely outcome of this series, by the way, is Detriot 4-2. Bovada slots that at 4/1 odds, with the Tigers winning 4-3 at 9/2 along with the Giants winning 4/3. So Vegas expects a dramatic series. If you're thinking it might be less spicy, you can bet on a Giants sweep at 18/1 (not that great in the scheme of things) or the Tigers sweeping at 15/2 (kind of horrible odds, actually). But the primary thing to take away from all of this? The Giants aren't the favorites in Vegas. And that's probably just fine with them.